Your focus should be on giving your patients the best care. Let us handle the rest! The healthcare sector has a need for a large inventory, which generates high volumes of soiled linen and a rapid turn-over of inventory. This can be costly and stressful for you, but St. Lucia Linen Services Ltd., has the experience, skills and tools to make it look so easy. 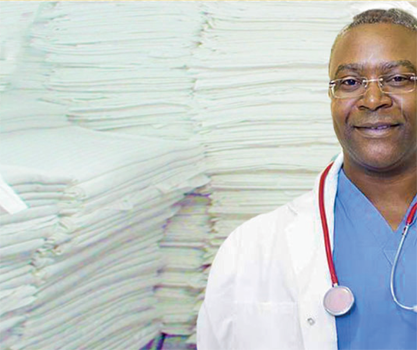 We will ensure you have a reliable supply of fresh, clean hygienic linen for your healthcare facilities, leaving medical personnel to focus on patient care.